Been really enjoying the updates, in particular the Rogue Trader battle report. Keep up the great work! 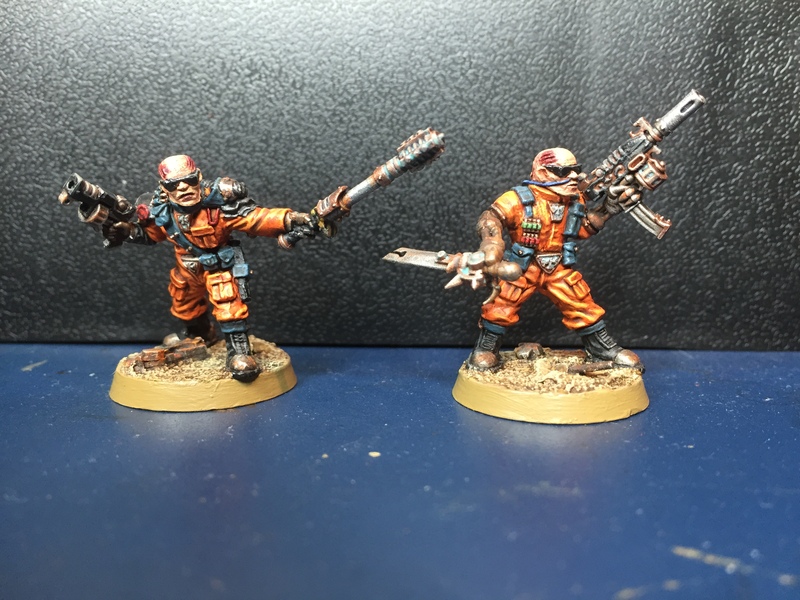 They are looking ace, the orange jump suits work very well. Nice choice on weapons too. Thanks mate, glad you like – the orange is a bit of a sod to be honest, probably why it isn’t used that often! That’s just awesome! 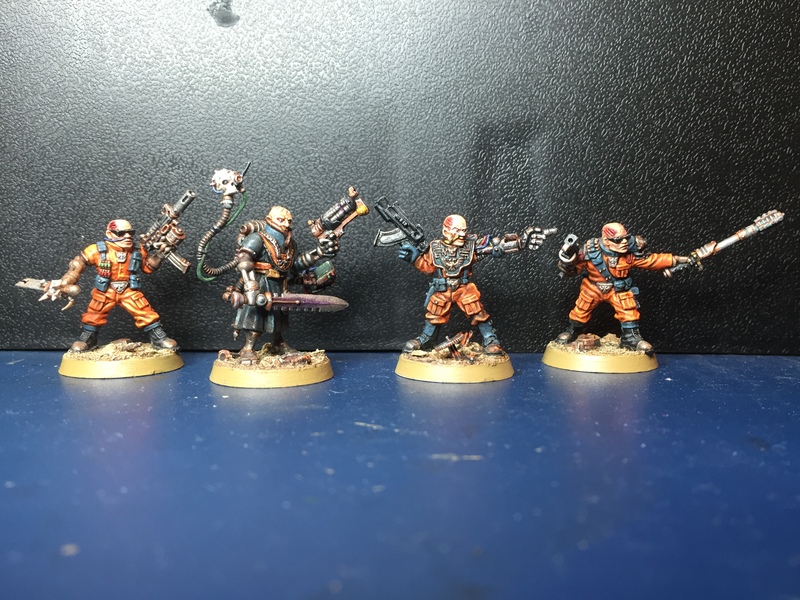 The Confrontation Tech Gangers pressed into service as AdMech salvage crew. Fantastic idea to add in the modern arms as well. The orange works perfectly. I now know how I’ll (eventually) paint and model my ones. I’ll be ripping you off shamelessly with these guys! Kudos, my friend. Kudos! Looking good (and again, holding up really well given their age). Know what you mean about loosing momentum on models that stand too long on the painting desk – maybe I should have a feet clearing session as well. Oh, it’s painful but so worth it dude…. Just 2 more floaters to go and I’m free!!! Really like the Orange!! Great paint job. I’m back for another look see. I was researching the “salvage crew look” on google and your posts popped up.